Fans of Sherlock Holmes will get a kick out of Baskerville: A Sherlock Holmes Mystery, a zany yet faithful take on The Hound of the Baskervilles by Sir Arthur Conan Doyle. Sir Charles Baskerville has died in mysterious circumstances. It’s up to the titular sleuth, played by David Leyshon, and aided by his faithful assistant Dr. Watson, played by Patrick Brown, to solve the mystery of the hellhound said to prowl the Devonshire moor hunting the male heirs of the Baskervilles before Henry Baskerville, the new heir is murdered. Baskerville: A Sherlock Holmes Mystery is written by Ken Ludwig and directed by Mark Bellamy. The performance finds the right balance between Sherlock Holmes deductive genius and social awkwardness balanced with belly-laugh inducing comedy in a farcical take on the 1901 novel. Braden Griffiths, Andrew MacDonald and Esther Purves-Smith excel in playing the dozens of supporting roles with comedic flair and energy. The three actor’s madcap performances are balanced on stage by Leyshon and Brown who play the straight men to the rest of the cast’s clowning in this farcical take on the evil doings on the moor. Performances at Stage West are preceded by a dinner buffet featuring a mix of traditional buffet fair and unexpected flavours, currently including deep-fried pickles and a sausage bar. 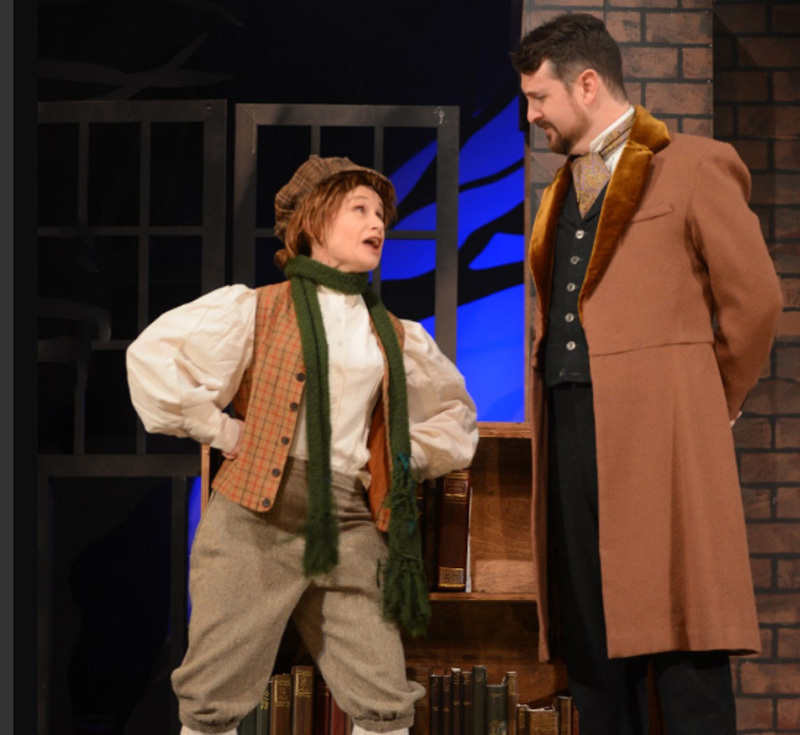 Baskerville: A Sherlock Holmes Mystery runs until April 15 at Stage West in Calgary.